I've been so busy picturing new jewelry, tagging, etc that I didn't realize it's been well over a week since my last post. Sorry about that. But the good news is, I have lots of new beaded jewelry that will be posted -beginning...well, just a few minutes ago actually. 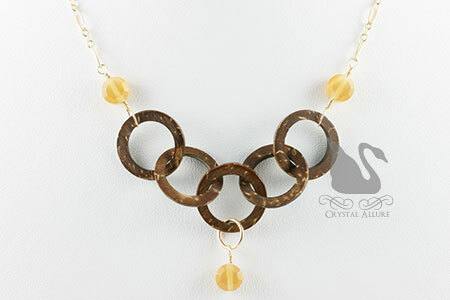 As a teaser, below is the Natural Coconut Shell Circle Topaz Bead Necklace (N057), which has complimentary pieces to wear and incorporates two fashion colors for Fall 2008 (Shitake and Ochre). For the organic jewelry lover is a handmade bead necklace created with natural coconut shell circles, accented with topaz fiber optic glass beads, 14 karat gold-filled chain and lobster clasp. Adjustable shell necklace measures 18" with a 1-1/4" extender chain. As part of the upcoming new fall jewelry designs, there are a few pieces that incorporate the fashionable Burnt Orange color (which was predicted in the Pantone Fashion Color Report, as being a hot color for Fall 2008). 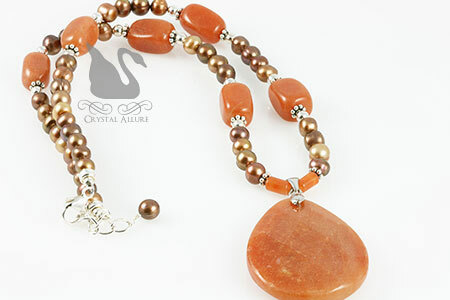 The bold Red Aventurine Gemstone Freshwater Pearl Beaded Necklace (N040) is one of those pieces. This handmade gemstone necklace is the perfect complement to autumn with its vibrantly warm brown and reddish-orange colors -reminds you of the changing leaves. Design features a faceted red aventurine gemstone teardrop pendant, gemstone nugget beads, brown freshwater pearls, sterling silver Bali, beads and lobster clasp with extender chain. The finishing touch to this beautiful necklace is a single delicate brown freshwater pearl dangling in the back, much like the last autumn leaf. This gemstone necklace is adjustable 16-1/2" to 18-1/4". UPDATE: The gemstone beaded necklace above (N040) was chosen by Sarah to gift to her Maid of Honor for Sarah's Orange Chocolate Autumn Wedding Jewelry color theme! Check out all the new beaded jewelry on the website, and remember to keep checking back often. 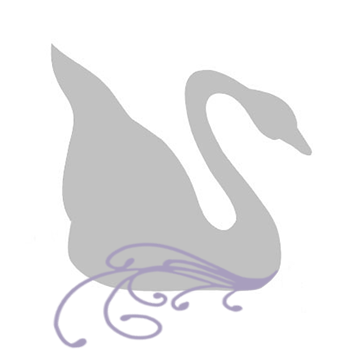 MANY new pieces will be added in September.